The grapefruit oil is well known for the various health benefits that it has, for example, it is greatly used in aroma therapy. This essential oil does not only offer benefits to the skin, but it is also beneficial to our health in general. If someone is suffering from loss of appetite, consuming this essential oil have been found to increase appetite tremendously. It can be consumed or can even be applied topically for the betterment of health. Grapefruit oil is known to be a disinfectant, antidepressant, stimulant and also a diuretic. Another way it benefits the health is that it has a positive effect on the lymphatic system. It boosts the activity of the lymphatic glands, thereby making people consuming the oil to have a better immune system. Grapefruit oil also aids in detoxification, is plays an important role in the detoxification process of the body. It additionally prevents problems like allergies, poor circulation, cellulite and fluid retention. With the rate at which junk foods characterized most of our diets today, the problem of digestion is very rampant. Too many people lack the appropriate amount of fibres in their daily diet. The grapefruit oil have been found to aids digestion, so consuming it will save you lots of problems associated with digestion. This essential oil also facilitates the lymphatic and vascular systems by keeping them healthy. With the extent of high temperature that is been currently experienced today, the rate of dehydration is very high. The more water you drink, the more you sweat and eventually it still leads back to being dehydrated. The dryness or dehydration affects most parts of the body especially the mouth, which eventually leads to oral decays. This is where the grapefruit essential oil comes into action. Gargling everyday with warm water, by adding a few drops of the grapefruit essential oil can help to do away with oral decays and infections. You can also add coconut oil to this mixture for better health benefits. Grapefruit oil also keeps the heart to be in a healthy state. Adding 2 to 3 drops of this essential oil to any gentle moisturiser and using it to gently massage over the chest region (close to the heart) at night before going to sleep, will sure go a long way in supporting the heart health. This essential oil works efficiently in curing premenstrual syndrome. It can be applied on the lower abdomen region also at the feet soles in order to balance hormonal functions. 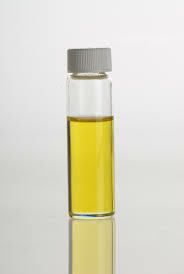 The fragrance that the oil possesses helps to curb drug addiction and unhealthy cravings for food. This can be achieved by applying the oil on the neck or inhaling it for the desired results.